I hope you had excellent holidays, saw new places and had delicious food and wine while! Now the new fencing season is starting in September. Your coaches now will do their best to get you back into shape using a variety of exercises improving endurance, cardio-vascular ability and your fencing finesse. If you missed too many lessons during the summer do not give in: let us know and we'll try to arrange for some complimentary tuition for you! It was difficult to find it on the telly, perhaps because the three British fencers: Richard Kruse, Alex O'Connell and Martina Emanuel were knocked out at the early stages of the tournament. Yet, pass the patriotic pomp, there was plenty of excellent fencing to look at! 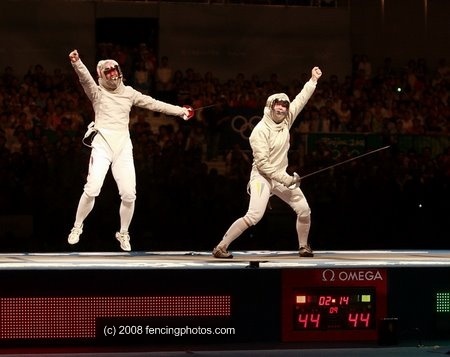 The Chinese breakthrough in many of the Olympic disciplines was evident in fencing as well. Ten years ago no one would imagine a Chinese fencer in the top 8 of a major competition. Now they won gold and silver medals leaving behind such reputable fencing nations as Russia, Romania and Hungary. The Chinese medals came in sabre which in large part can be attributed to the work of their coach Christian Bauer. In the previous Olympics Bauer was working with the Italian team and then they too won gold. I guess this just confirms that you need to listen to every word on the coaches in the class! The big shock of the games was that Hungarians got only one - bronze - medal. This is probably their worst performance in the last 100 years. Yet other all time favorites France and Italy featured well once again taking the 1st and the 2nd place. American sabre women took all the medals in the individual tournament. 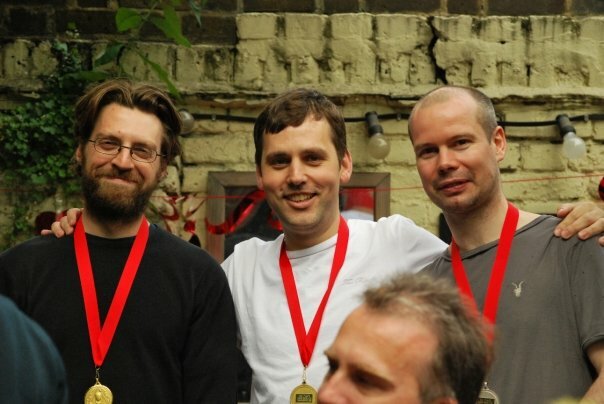 However when the medalists formed a team they only managed the 3rd place behind the Ukraine and China. If you can still have a look at the fencing highlights of the Games: http://www.eurovisionsports.tv/olympics/ (Highlights by Sports - Fencing). Or smaller coverage on the BBC web site. The 34 year old foilist Valentina Vezzali became the first Italian to win three consecutive individual Olympic gold medals. Vezzali has also 2 Olympic teams golds, 10 Worlds championship golds and 60 World Cup titles. She only fell out of the top 2 in 2005, when she missed most of the fencing season being pregnant with son Pietro. She returned from maternity leave a few months later to win her 4th world championship. The club championships gathered more than 50 participants and went in the atmosphere of mutual support and appreciation. Some of the participants competed the first time in their lives (and I hope not last!). But while men's poules were very busy we still need more women on the competitive piste: particularly in sabre and epee! Still not too late to join in! The lakes region of northern Italy is not just home to the rich and famous, but also a hosting ground for sports and cultural activities year round. Blessed with the riches of natural beauty and historical significance, these bodies of water and the Alps and the pre-Alps surrounding them abound with castles, ancient churches, renown nunneries, assorted museums, fragrant gardens, waterfalls, spas, ski resorts, hiking grounds and beaches. 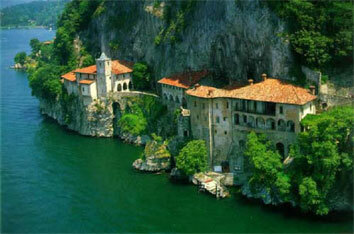 Lake Maggiore is the largest lake in the area and the second largest in all of Italy. It presents stunning views of the white-peaked Alps. Casa Speroni is located in the sleepy town of Nasca, an hour's drive from Milan, at the foot of the Alps. It features murals painted by the late proprietor/artist Mario Speroni. 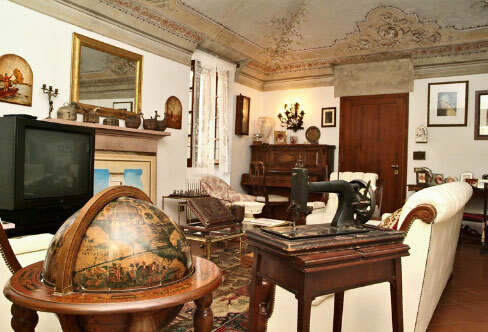 The house is within walking distance from Lake Maggiore. 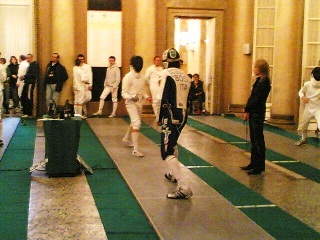 It is managed now by Paolo Roselli, former Italian sabre squad member. Have a look on http://www.casasperoni.com for more pictures. The following activities are common amongst the visitors to the area: spiritual well being, sailing, visiting castles and the monastery, wine tasting, shoe shopping and yes, fencing! 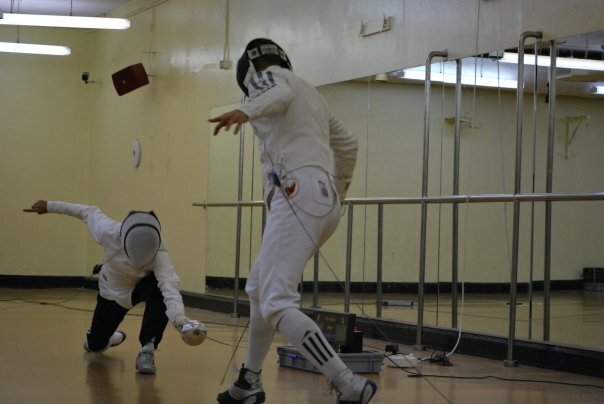 We will try to attempt all the above and put some variety into the fencing programme too: instead of sticking with one club as during the previous trips, we'll try to visit as many as we can which probably means a new fencing company (and probably a meal afterwards) every evening. 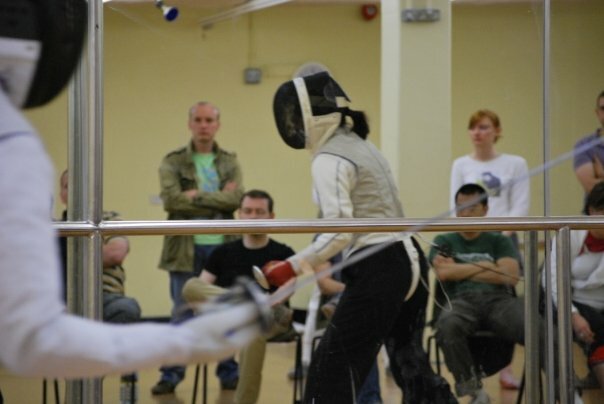 £350 will cover the accommodation and the visitors' fees to the fencing clubs. Expect a welcome dinner on the arrival courtesy of our host. I hope it all looks good to you! It'd probably make sense to buy the tickets for the flight before the price goes up. You can also travel on your own and meet us at Casa Speroni on the evening of the 30th of September. The payments to be collected during the first week of September. Please note that we'll be using the Activity Room upstairs on 30 August and 13 September.